Nello di Cesare is an italian wedding photographer with international experience. Born in Naples, Nello has been involved in photography since he was a child, following his father Vittorio’s footsteps. Nello deeply believes that he has been lucky to turn his passion into a job that he considers the expression of his happiness. If your looking for discretion and elegance, you will find them in his work: on the day of your wedding, Nello and his staff will be like friends for you and they will follow you in every steps of that special day. Happyness, joy, enthusiasm and thrills will be all caught with spontaneity in your pictures and videos. Weddings are made of many differents moments and feelings that are worth to be remembered for ever: trusting Nello and his staff you will be sure to preserve all the beautiful and authentic memories. His style is sophisticated, elegant and unexpected. More than 20 years of experience in this field, gives Nello the ability of putting you at ease, catching all the moments in the most important day of your life. 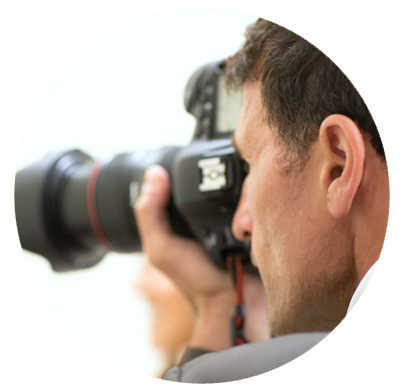 Every wedding will be attended by professional photographers, providing you with two points of view on the event and the full photographic story. Usually our photo service will last for the entire day, commencing with the preparation for the wedding through to the reception. Upon request, we are pleased to extend our stay. From lifestyle and fashion to corporate events and product shots, Nello di Cesare’s photography services can create engaging images that can give you more chances to tell your story to your target audience. Nello di Cesare Studio provides the discerning consumer with photography services of superior quality.